That's right, in addition to the previously discussed 8433 words of Google spamming fun, these new 5 domain names add another 9962 words to the mix. Believe it or not... the news doesn't end here. 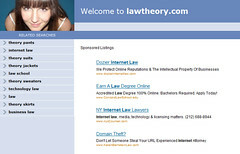 Oh no, Dozier Internet Law gives us yet another reason to respect and think highly of them. Not only is Dozier risking penalization or delisting by Google... they are also associating with some of the lowest scum of the web... domain squatters and those who register domains with the sole purpose of serving up ads. 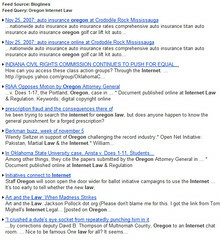 Like my previous post, all links to sites owned or run by Dozier Internet Law links contain the rel="nofollow" tag so as to keep this post from benefiting them in anyway. Don't forget about the Google Report A Spam Result page.